Make talking with teens about drug use a priority, so they aren't alone in their decisions. Although in recent years there has been some decline in teen drug use, teenage drug abuse continues to be a prevalent issue, which deserves attention. Teens experiencing drug abuse issues require special considerations and treatment options. The Monitoring the Future (MTF) survey has been given to teens since 1975 through the University of Michigan's Institute for Social Research. The survey is funded by the National Institute on Drug Abuse (NIDA). This survey is only one of many that serves as the basis for statistics related to teen drug abuse, but it is one survey that's thought to be reliable. This particular survey looks at 10th graders through 12th graders, and only notes significant trends each year. Some of the current 2007 statistics follow in the next two sections. In the case of the MTF, positive means just what you think - good news, such as if teen smoking decreases. Following are some current positive trends related to teen drug abuse. Very good news: Most teen drug abuse in the 2007 survey remained stable or decreased from 2006. In fact, when it comes to an overall look at illicit drugs, teen reported use has gone done by 32 percent in the last six years. Marijuana: While marijuana use is down for all age groups of teens, the bigger news is a change in attitude. 8th grade students have significantly changed their attitudes about smoking marijuana in the last few years. Most report that they disapprove of even trying pot "Once or twice." The change in attitude is evident since actual marijuana use by 8th graders has fallen by 44 percent since 1997. Inhalants: The bad news is that use of inhalants has not decreased. The good news is that it hasn't increased either. Usually stability of use indicates that drug education may be working, and a trend down may be seen soon. That's good, because inhalants are widely available and deadly. Nicotine: Teenage cigarette smoking has seen a minor decline in past years. Not a huge decline, but enough to be considered an improvement by MTF researchers. There has actually been a huge decrease (10 percent) in teens who are smoking tobacco in the last ten years - so while the decline is slow, it appears to be ongoing. Prescription drugs: The MTF reports that prescription drug addiction among teens remains, "Unacceptably high." 15.4 percent of high school seniors reported non-medical use of prescription drugs in the past year - and that doesn't include the rest of high school students. Ecstasy: The biggest issue with ecstasy drug abuse among teens is that the disapproval rating has gone down - meaning that teens don't consider ecstasy use by peers a poor choice. Many teens in fact also report that they don't consider ecstasy a danger. Overall approval ratings of ecstasy and use of the drug have gone up among all ages of teens. Heroin: Use of the deadly drug heroin has increased among 8th grade and 12th grade students from 2006 to 2007. To see other positive statistics related to methamphetamine, sedatives, barbiturates, cocaine, steroids, and alcohol use, along with negative trends for hallucinogens, visit results at NIDA. What appears to be happening with current teenage drug abuse trends is that perhaps prevention tactics have been focused more so on drugs that are easy for teens to obtain. It's simple to find cigarettes, easy to get alcohol and even pot. It makes sense that drug prevention efforts would be focused on these drugs. However, obviously the statistics show that other drugs are being abused increasingly by teens. Ecstasy, heroin, and other hallucinogens are not as easy or cheap to come by if you happen to be a teen, but somehow teens are finding them and perceiving them as safe enough to try or abuse. You may notice that you don't see prevention commercials or other media ads slanted towards teens regarding these drugs so much as cigarettes or alcohol. Since cigarette and alcohol use among teens is down, it makes sense to assume that additional education and media attention about the dangers of these drugs has made a difference. One prevention tactic is to educate teens equally about the dangers of all sorts of various drugs, not simply the ones parents, teachers, or the media perceive as more prevalent. Parents. The Anti-Drug: Helps to teach parents how to discuss drug abuse with their children. Girls Health: Great site to direct teen girls to; discusses drug use facts. Talking with Kids: How to talk about any tough issue with a child or teen. Teenage drug abuse also requires some specific treatment options. What works for adults may not work for teens. There's an older study (2004) available but it's interesting. 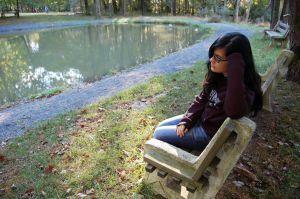 It discusses a huge study related to the best treatment for teens experiencing depression. Most teens abusing drugs have some form of depression so it's worth a listen. You can listen to facts about the study at NPR. Teen drug programs turn curious teens into crackheads. A must read for parents considering putting their teen into a drug treatment program. How to choose the right teen drug treatment program.